Black House Spider are also known as Window Spiders or Grey House Spider. The webs of Black House Spiders have a 'funnel-like' shape, which is sometimes misunderstood as a Funnel-web Spider web. However, the two spiders are not the same. Their webs form untidy, lacy silk sheets with funnel-like entrances. 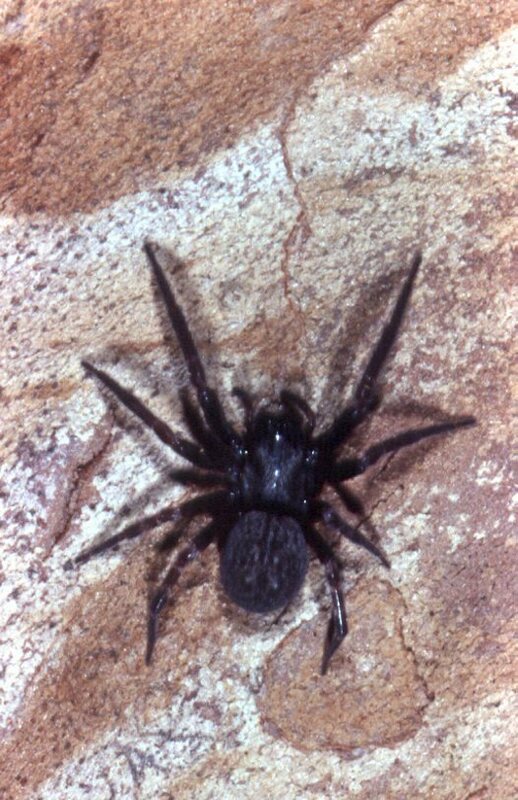 Black House Spiders are found on tree trunks, logs, rock walls and buildings (in window frames, wall crevices, etc). Grey House spiders may be found in similar locations and often builds webs on foliage. 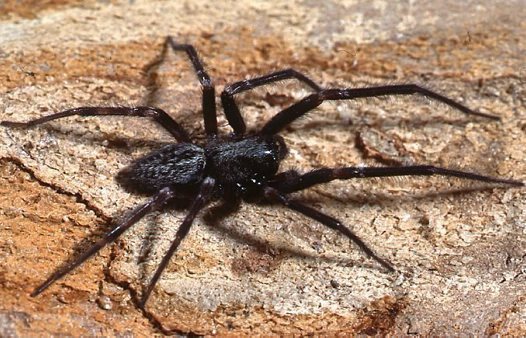 Black House Spiders are timid animals and bites from them are infrequent. The bite may be quite painful and cause local swelling.